Particularly perfect for Easter, this cantata can be presented in any season. 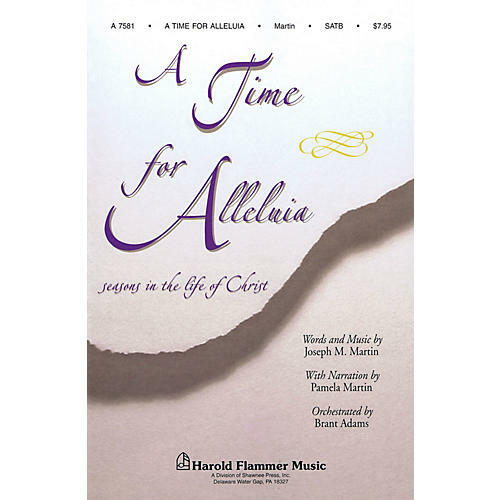 A Time for Alleluia celebrates the life and work of Christ; walking us through the seasons he lived among us. This materful work is highly recommended. Approximate time: 45 minutes. Includes: Prepare Ye the Way; Come Follow Me; The King of Sorrows; Empty Now; and more.